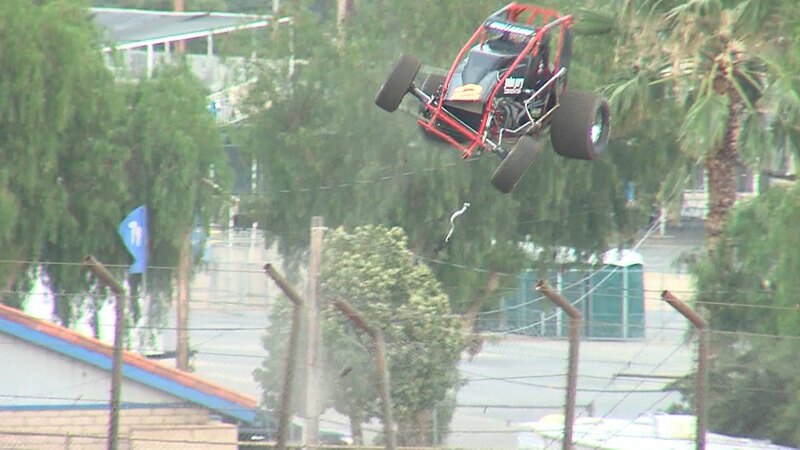 Austin Williams rolled his sprint car at a Perris Auto Speedway last weekend, sending the vehicle flying over the 22-foot catch fence. Fortunately, Austin Williams can be seen swiftly exiting the vehicle and walking away, seemingly without serious injury. And it was the only time in the circuit’s history that the vehicle has cleared the catch fence.